Drunk students will soon have to find a new place to throw their bottles in the dead of night due to the installation of security cameras in the fraternity alley. 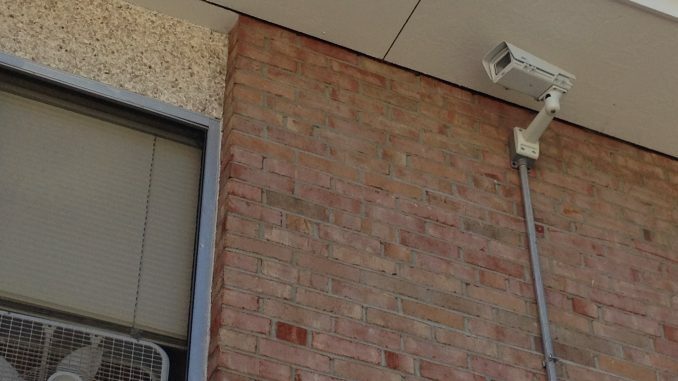 To address concerns about criminal activity in the fraternity alley, the offices of campus safety and residential life are installing several new cameras in the alley. Kenneth Snyder, director of campus safety, said in an email that the safety of residents and the identification of perpetrators of crimes were the primary motivations behind installing the cameras. “For the college, the value of the cameras is that they have a deterrent effect, and they allow us to review the recordings after an incident to identify individuals involved in crime or other misconduct,” Snyder said. Michael Wadsworth, director of residential life, is the point man for the camera installation. The installation of new security cameras in a residential area also raises questions about privacy. Wadsworth and Snyder were both quick to assuage these fears. Many members of the Greek community have taken the news rather well. Robby Wells-Schmidt, Vicksburg senior and risk manager for Delta Sigma Phi, welcomed the cameras as a way to prevent damage to the fraternity houses through deterrence. “As a risk manager, it’s certainly not working against me,” Wells-Schmidt said. Joe Thomas, Canton senior and vice-president of Delta Tau Delta, agreed. “People do some stupid stuff in the alley, and it would be good if we could deter that, as long as they’re not going out of their way to bust people for minor things,” Thomas said. Snyder refused to speak with The Pleiad in person, and so the interview was conducted via email. Corrections: Revised for transparency and to clarify the status of the camera installation.